When I first saw this phrase, I stared at it for awhile slightly confused. Don’t ask what the world needs — that’s a strong statement, and at first seemed to contradict Rotary’s “Service above Self” philosophy. But then I realized the wisdom of asking people to find their real passion, and the power that unlocks. This year, I am facing a crossroad in life. This question touched my heart. What is my passion? The path that I have been following during these past 25 years has taken me to so many places and countries. I thought about all that I’ve seen, the projects that I have achieved, the hands that I have reached, and the friends that I’ve made. It lead me to an obvious answer. My passion is to travel. What a wonderful thing it is to travel. I have learned many things about life and about people. But still the best lesson I learned through traveling is how to embrace different cultures. Sometimes it has not been easy. But when I made their story my own, saw through their eyes, and took in the meaning of their traditions, the prejudgments in my mind vanished. So far I have learned five languages and hope to learn more. To travel is to grow as a human, to experience the wonders this world has to offer as you reach for them with curiosity. Traveling is an endless education. It makes me come alive, as I take an active part in the world, and share my culture and beliefs. I have combined this passion with Rotary, since I took part of in a Rotary Youth Exchange and now I continue contributing through Rotaract service projects. Our district hosts six Rotaractors from all over the world each year, as they travel for 15 days across northern Mexico. I especially enjoy taking part in hosting the visitors in my city Mexicali, and visiting Rotaract clubs in other countries. I invite you to travel and go beyond being a tourist. Push yourself to embrace the local culture to understand how it differs, and yet shares things in common, with your own. Traveling builds compassion, understanding, and global peace. It is OK not to ask what the world need, because when the world has more passionate Rotarians, Rotaractors, and Interactors, working side-by-side to make the world a better place, the world will have what it needs. This entry was posted in Empowering youth and tagged Mexico, Rotaract by Rotary International. Bookmark the permalink. I am so honored to share this with you! We , the Rotaract District 4100 are hosting a Delegation of Rotaract member from France, Trinidad and Tobago, Hungary, Hawaii, Brasil and Canada to meet and enjoy the Mexican culture for 15 days traveling across our district to experience a true friendship service program to build cultural awareness and foster the peace through service! Rotaract members in your District can apply for next year! Greetings from Baja California, Mexico.! 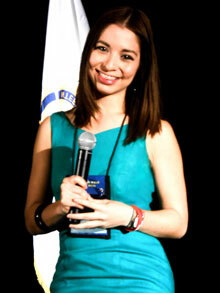 San Diego State University, Imperial Valley, Rotaract Club, Founder. Compare two sayings … Do what you love vis-a-vis love what you do. Also consider the words — Passion, Purpose and Action. These are the watchwords of the new Rotarian Action Group for Peace.